Once in a blue moon I'm able to create a small project to be auctioned off. 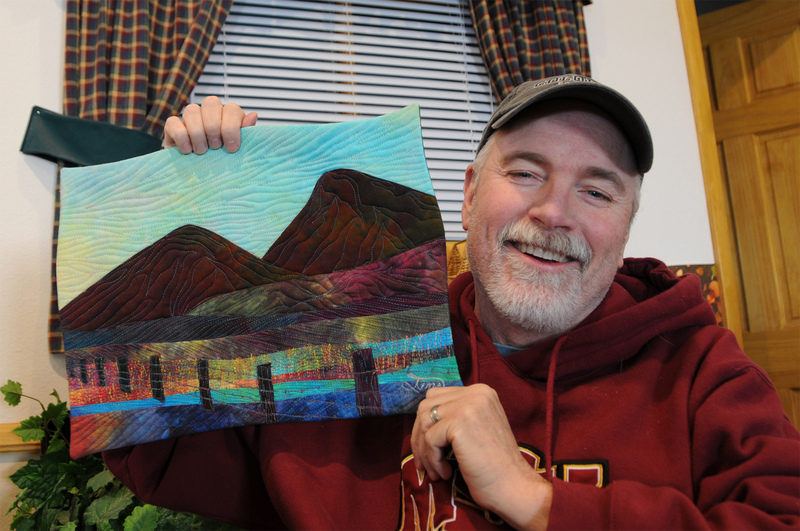 I have a great affection for the Rocky Mountain Quilt Museum located in Golden, Colorado. Next month they will be holding an annual fund raiser that includes auction items. I made Wahatoya and Fence specifically for that auction. The museum will be taking remote, call-in bids prior to the live auction. 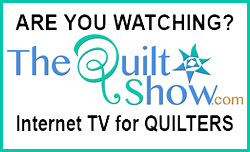 This means YOU have a chance to add this quilt to your collection even if you can't attend the museum event. Wahatoya, the name of our two mountains (also called The Spanish Peaks) means "breasts of the earth". These are the two mountains that greet me each morning from my front door. I made this quilt from hand-dyed fabrics and machine quilted it. Rocky Mountain Quilt Museum will be taking call-in bids on Ricky’s Wahotoya and Fence quilt (12” x 15.5”) valued at $1100. Call-in bidding begins on Monday, March 7 and will continue thru March 10, 2011 during the hours of 10:00 am to 4:00 pm MST. Call-in number is 303-215-9001, please have your credit card information ready for your call-in bid. Please note, having the highest bid at the end of day on Thursday does not guarantee you are the winner. The auction will continue on Saturday at the RMQM Fabric and Friends event giving attendees a chance to bid on the quilt. Call-in bidders will be asked to provide the following information: Name, address, phone and email address and credit card information. 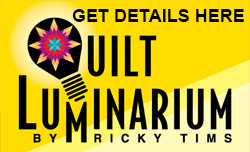 If the winner of Ricky’s quilt was a call-in bidder their credit card will be charged the final bid amount. Following payment, quilt may be picked up at RMQM office located at 910 13th Street, Suite 300, Golden, CO 80401 or RMQM will happily ship to any winner (shipping charges apply). 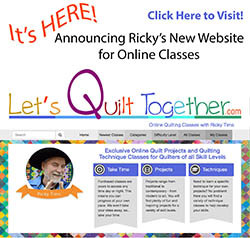 RMQM is thrilled to be able to offer this opportunity to anyone wishing to OWN one of Ricky’s wonderful quilts! Saw you in EauClaire. Love your work. Hope to make a convergence quilt soon. I just love you work. 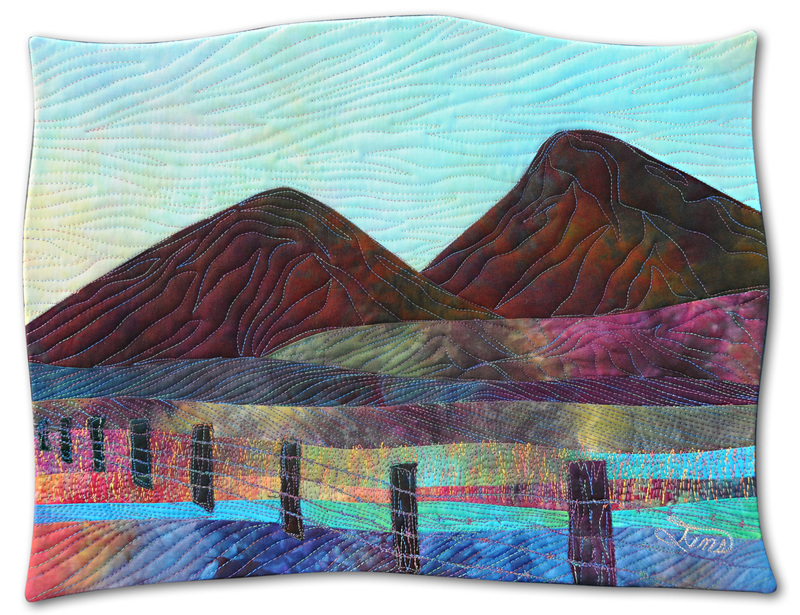 I love the way the quilting lines accent the landscape and sky. Your lovely hand dyed fabrics really shine in this piece. It is gorgeous. This is beautiful! I would be proud to own it!